Blogging has several advantages especially for businesses but If you or anyone else is going to be blogging for you need to know some of the fundamentals to get it right. We will go through some of the things you should be aiming for when you get started blogging, to answer the question of why should I blog for my business? Always have an “About Page” so you can give information about your business that should also include telling a story of how your business started and its journey to reach this point. Blogging can be a challenge but you will find that you will improve with practice and the more you do it, the better and easier it becomes. 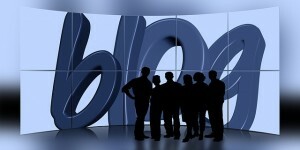 Blogging will allow you to reach a potential of billions of internet users. Your aim to why should I blog for my business is to promote your business while publishing good information aimed at your target audience to attract them to your site. Your aim is to break down barriers so visitors will start to know, like and trust your business. Giving great information is a perfect way that people can know, like and trust your business. The more you give, the more they get to know you and when it comes time to offer your product or service to them, they have lost a lot of the resistance not to buy. Attract your visitors with targeted topics that are relevant to them and your business. You can soon establish yourself as the authority site to go to in your particular niche. Remember your blog is like a business card on the internet and you need it to portray a professional statement and image. Having a blog and writing about important topics that are relevant to your audience establishes yourself as an authority in the space. It enhances your professional image. By blogging you have the chance of generating new customers and clients to your business because it allows your visitor to see if you are the type of company they are searching for. If your visitor contacts you then have more chance of selling your marketing and products than if you were to make a cold call to them. By constantly giving information you are building up engagement especially if you can get them to start leaving comments or asking questions that you can reply to. If you have testimonials make sure they are in a dominate place on your site for your visitors to see as this can be a great deciding factor for them. Be sure to like our Facebook page MarketingAndProducts. Check out some of the other articles we have on our site that we are sure you will be interested in.